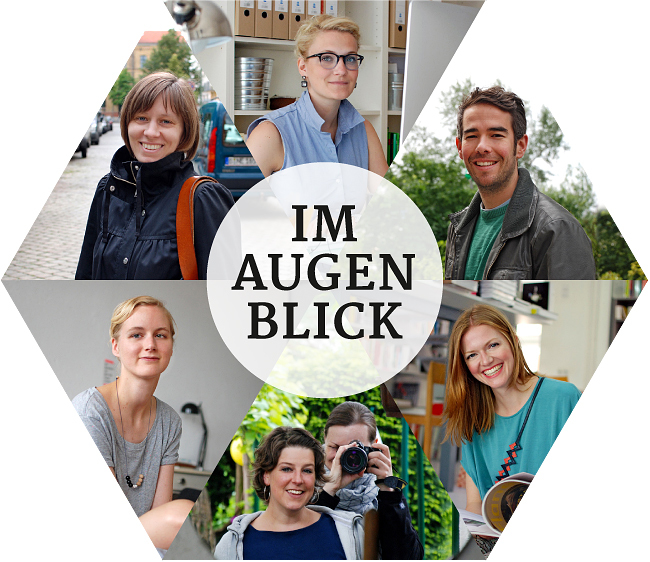 “Im Augenblick” is the name of a free interview and photo project I started here on my blog. For this portrait series I selected a couple of people I know personally and asked each one five questions, before visiting them with my camera. Now I have decided to publish the portraits in English, too, with the help of my interview partners and my boyfriend Johannes. Many thanks for this, folks! “Im Augenblick” means “at the moment.” My questions are like an inventory: The personal status quo. The questions are: Where do I come from? Where do I want to go? What drives me? What holds me back? Three things that I would like to have done in five years‘ time. “Im Augenblick” is a German play on words. Translated “Auge” means eye and “Blick” means view. So you might say “in the eyes view.” I like this in combination with the medium photography. The project is about the thoughts of the portrayed people and my perception of their personalities through the camera. It’s about present and future, transparency and reflection, profile and personality, assumptions and perspectives. In their eyes, in my eyes, in your eyes. Now I will post the English versions of all the interviews one at a time* and I’m starting with Kati. * Sorry, translating all this interviews was an optimistic plan. A bit too optimistic. Unfortunately, there is not enough time to do this.